A big hit in the quarter-finals of this year’s Coppa Italia is the duel between AC Milan and Napoli. Both teams entered the competition in the previous round, beating each other 2-0. The guests triumphed at home against the Neroverdi of U.S. Pat. Sassuolo and Milan won away at U.C. Sampdoria – however, the victory was only completed in extra time thanks to a brace from Italian striker Patrick Cutrone. There was a real dress rehearsal last Saturday evening when the clubs were already facing Serie A. The match ended with a scoreless draw. A game outcome that will also be tipped in the coming match between AC Milan and Napoli, with the goal secured at least in the direction of a victory for the guest team. The hosts made it to the finals of Coppa Italia last season. There, however, the team had to bow very clearly to the champion from Turin. With 0: 4 the final was crashed lost. The way to the final was also very cumbersome, as the victory in the quarter-final against Inter Milan after extra time and the triumph in the semi-final against Lazio Rome was even scored on penalties. For Milan, it was thus after 2016 again a final defeat against the old lady. For the last time the competition was won in the season 2002/03, whereby the fifth cup triumph was achieved. In the current season of Serie A, the Lombards are in fourth place. A placement with which you could certainly live in Milan at the end of the season, as it entitles you to participate in the Champions League. Compared to the last two seasons, the 18-time champion would also have improved by two places. With the fight for this year’s championship, the Rossoneri but have nothing more to do, since the gap on Juve is 24 points. Above all, Milan owes its good position in Serie A to its defense. This has only allowed 20 goals. A value only undercut by Juve, Inter and Napoli. The departure of Leonardo Bonucchi last summer, whose longing for his former congenial defender colleagues Giorgio Chiellini and Andrea Barzagli was probably so strong that after a year he hired again at Juventus, has apparently coped well with the defensive at AC Milan. At least away – because at home the balance is quite mixed. So Milan conceded already twelve goals in his league home games. A balance sheet which is one third higher than in foreign countries. A clean sheet as last against Naples is also the exception, since only two in eleven home games were reached. Coach Gennaro Gattuso will also miss some players in the coming match due to injury. 24-year-old defender Mattia Caldara, whom Milan picked up from Juventus in the summer, who had loaned him to Atalanta Bergamo in the last two years, is still missing. The defensive player has not played a league match for Milan because of his calf injury. Furthermore, Giacomo Bonaventura is still in midfield due to a knee injury and Colombian Cristián Zapata still has thigh problems in the defense. At least on the bench sat in the last games (exception last match day) but again the Croatian defender Ivan Strinic. He also has not completed a match because of heart problems since the final of the 2018 World Cup. In addition, Argentine striker Gonzalo Higuain left Milan last week. The 31-year-old was on loan from Juventus and is now kicking at Chelsea, also on loan. With six goals in 15 league appearances, he could not quite fulfill the high expectations of him. Surely Maurizio Sarri, the coach of the Blues, was one of the reasons why he moved to London – under him as a coach, he had a very successful time with the upcoming opponent (71 league goals in three seasons!). The runner-up has already won the Coppa Italia five times in his history: The last success succeeded in 2014 in the final against Fiorentina. After that, the final was no longer achieved; instead, the southern Italians invaded the quarter-finals and semi-finals twice each. Napoli are again in second place in Serie A this season. The club has Juve but already eleven points behind, so it probably will be synonymous with this year’s title. For the fans, the very long dry spell, after all, the last Scudetto to the year 1990, would go on with it. Personnel can coach Carlo Ancelotti, however, in comparison to the last few weeks again draw from the full. The only question is, inter alia, the use of the Slovakian Marek Hamsik, who suffered from a thigh injury, but was represented at least in the squad on the weekend, although Ancelotti did not bring him. In the offensive, which is third in the league with 39 goals, the hopes are mainly on Arkadiusz Milik, who scored four goals in the last four games. With eleven goals he is also the most efficient goalgetter of the club and sixth best of Serie A. With the number he has already scored more goals than in the two past seasons together. Furthermore, Napoli is the strongest away team in Serie A (6-1-3) after Juve and the offensive is reliable even in foreign countries: in seven of the ten league games they have so far struck at least once. The game in the first round ended with a 3-2 home win from Napoli. A match to which Milan will surely remember with horror, as it was 2-0 in front, but two goals from Piotr Zielinski and a goal by Dries Mertens led to the turn. For Milan, this was a black series of previously seven winless encounters in the eighth round. Last weekend was only enough for a 0-0, which is why waiting for the next win against Partenopei continues. In the upcoming match between AC Milan and Naples, the odds are now pointing slightly towards a victory for the visitors. For the second time in a few days, AC Milan and Napoli face each other at the Giuseppe Meazza Stadium. Milan will also be in for a surprise win against Poland’s Krzysztof Piatek, who made his debut last Saturday despite being only 20 minutes off Gattuso. The 23-year-old striker was signed by Genoa just a few days ago and is now fourth in the scoring in Serie A with 13 goals. His first season in Serie A is a remarkable one. The duel last weekend has definitely shown that Milan is currently an equal opponent for the runner-up. 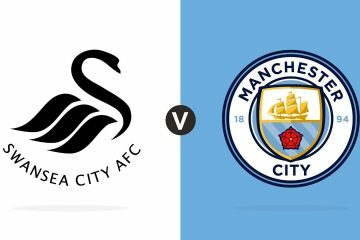 Moreover, since this is a cup match in which from an early season in a draw on the scoreboard, the willingness for offensive actions will certainly decrease, can expect a renewed draw. However, with AC Milan against Napoli the tip is played in such a way that with an away success the employment is reimbursed, since the guests have playful nevertheless advantages. 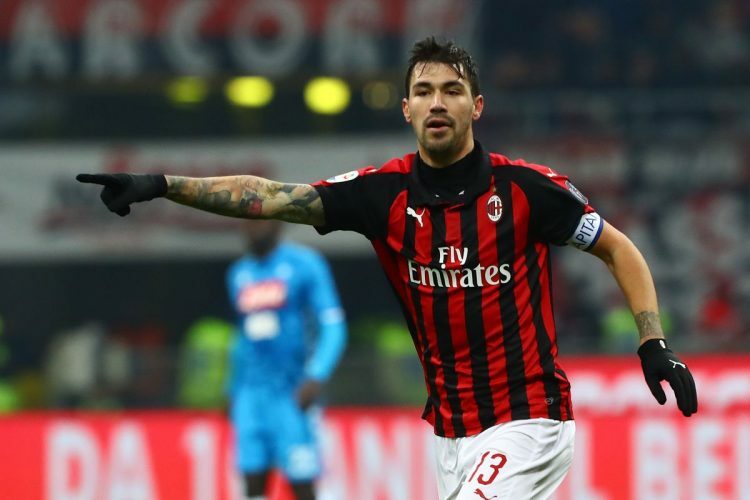 Underpinned at AC Milan against Napoli, the prediction on a draw not only by looking at the last game, but also on the previous home game of the Rossoneri against the kicker from the south, which also ended 0-0. Overall, the odds draw is already at 50 percent in the review of the last ten home games of Milan against Napoli.